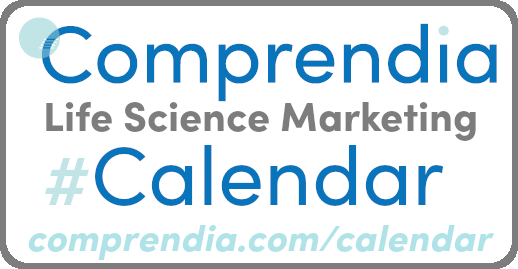 Life science events calendar: conferences and life science related days and months (see first day of every month). Check this calendar for yearly/quarterly marketing planning, and monthly for days you can “celebrate” on social media. We’ve also included some “fun” days as well. We’ll Tweet a reminder 2 weeks before every multi-day event. Click on the “+Google Calendar” link on the bottom right to add the Google calendar to yours. You can also follow our Twitter list of life science conferences. Also check out our video howto on making a printed version of the life science event calendar. Contact us if you need help with life science marketing planning or social media. We hope to see you at an event soon!